What are fauxdoris you ask? 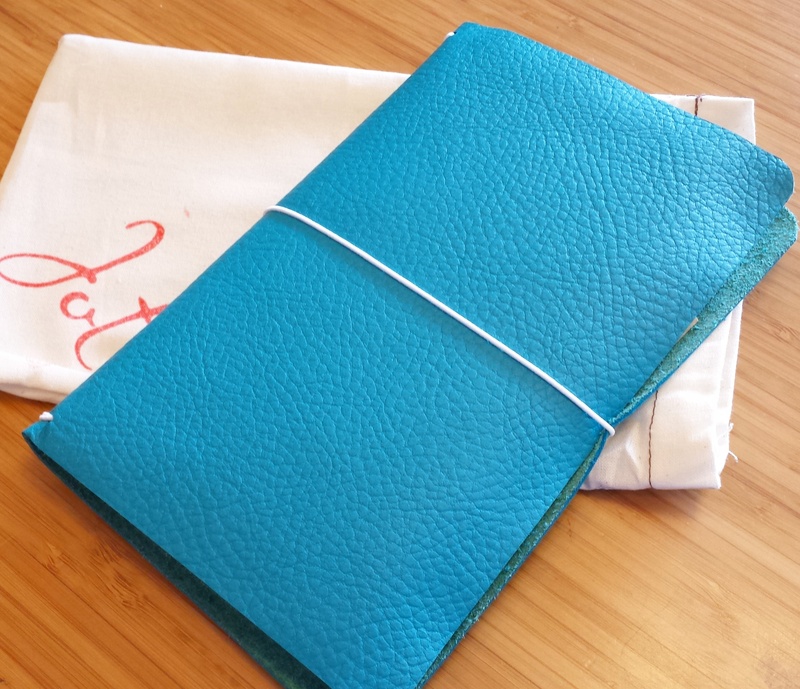 Fauxdori notebooks are alternatives to Midori Traveler’s Notebooks – those collections of notebooks held together in a leather cover and closed with elastic string. 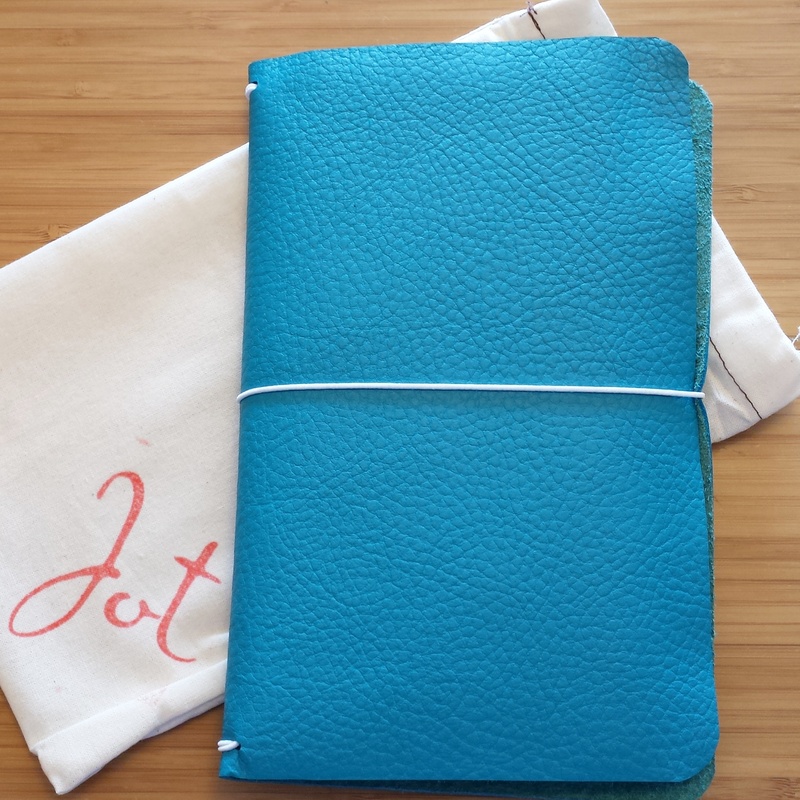 Jot is really getting some steam going now, and Cori asked if I’d be willing to review a Jot notebook to help spread the word about them. 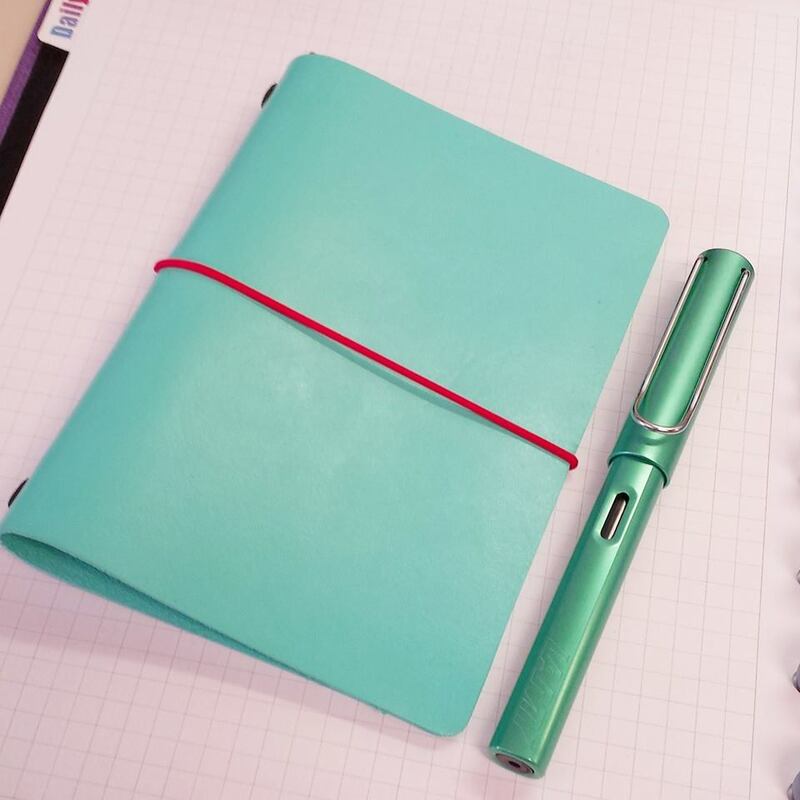 I was honest with her in that I’d tried the fauxdori concept back in January with a Field Notes-sized notebook, and at the time couldn’t fall in love with it. 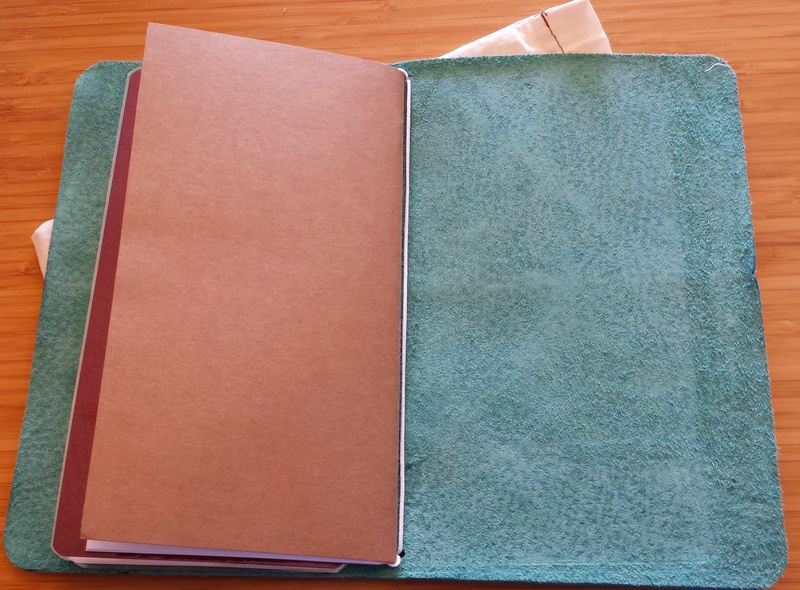 I’d found a small cover on Ebay, and supplied the refill notebooks myself – fountain pen friendly of course, the Tomoe River Paper filled Curnow Bookbinding notebooks. But while I loved the color of my cover, it was a stiff fairly rigid piece of leather, and was “strung” to hold only one notebook. 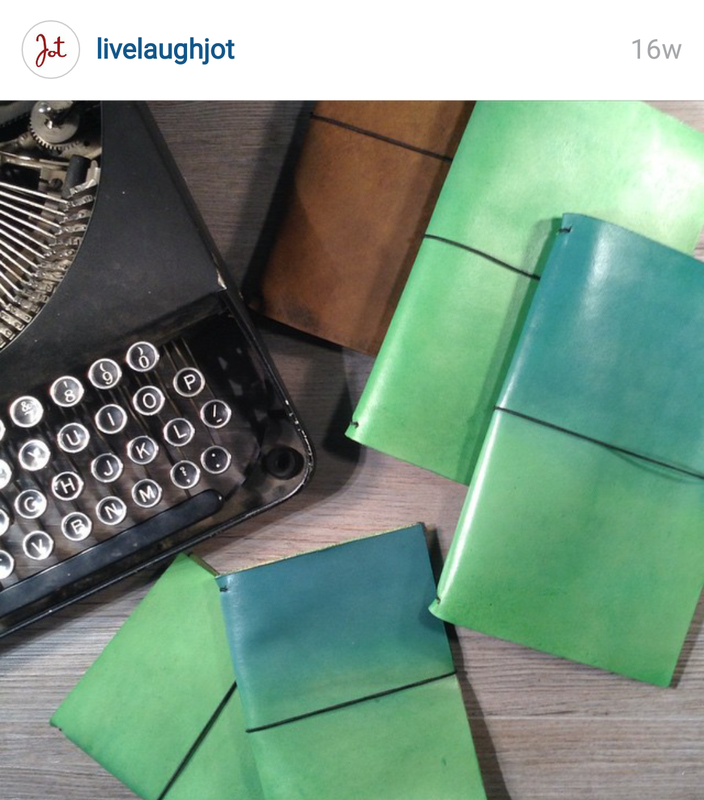 So I had to follow the Midori trick to get it to hold extra notebooks. And between the stiff cover and three notebooks, it was difficult to get the notebooks to lay smoothly enough to write on, which really bugged me. So I decided maybe it wasn’t for me and sold it. MiniJot 4.5 x 5 inches. PocketJot 4.5 x 6 inches. ClassicJot 5.5 x 8.5 inches. I went with a gorgeous Peacock blue I’ve seen in her pics, one of which was included above. 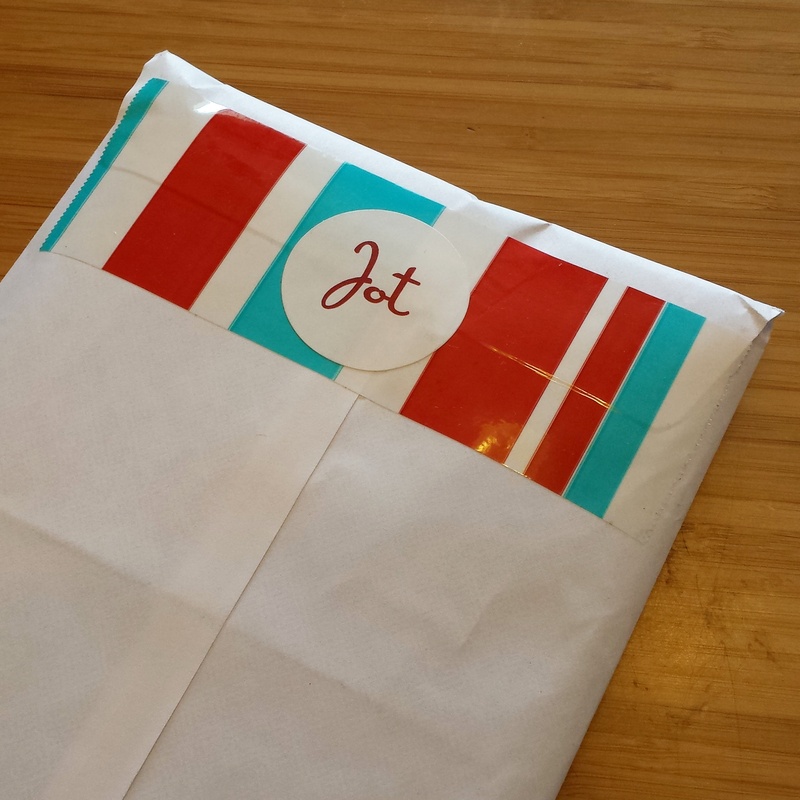 All of her store items get packaged in her signature turquoise and red shop logo, as was the package I received this weekend. 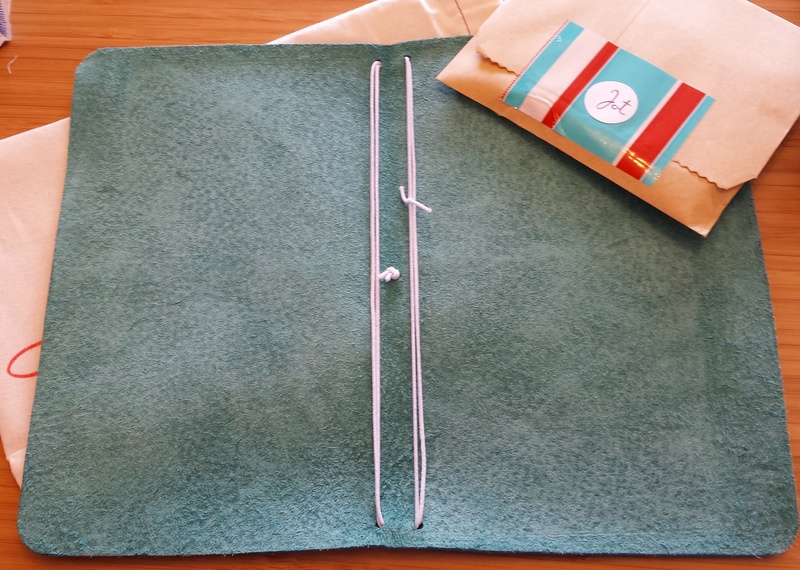 Upon opening the envelope, you immediately smell it – the glorious smell of LEATHER. OMG it smells so good!! Like I was wrapped up in a new leather jacket, or wearing new leather boots, or BOTH. I realize not everybody likes leather products, but for me …. dang it smells wonderful. 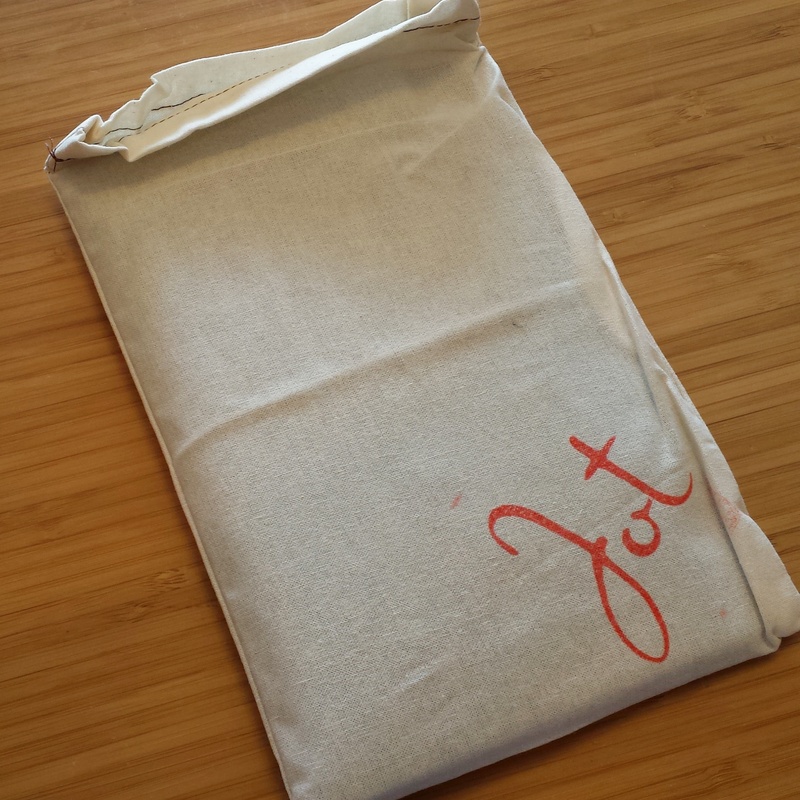 Inside the envelope is the notebook cover in its own special protective cloth bag, with the Jot logo. With great excitement, I pulled out the leather cover to reveal the ClassicJot in all of its Peacock glory. It really is a beautiful turquoisey blue color! Jot offers this color in both black and white elastic string options as of the time I was choosing them, and I went with white as I like how it looks against the blue. 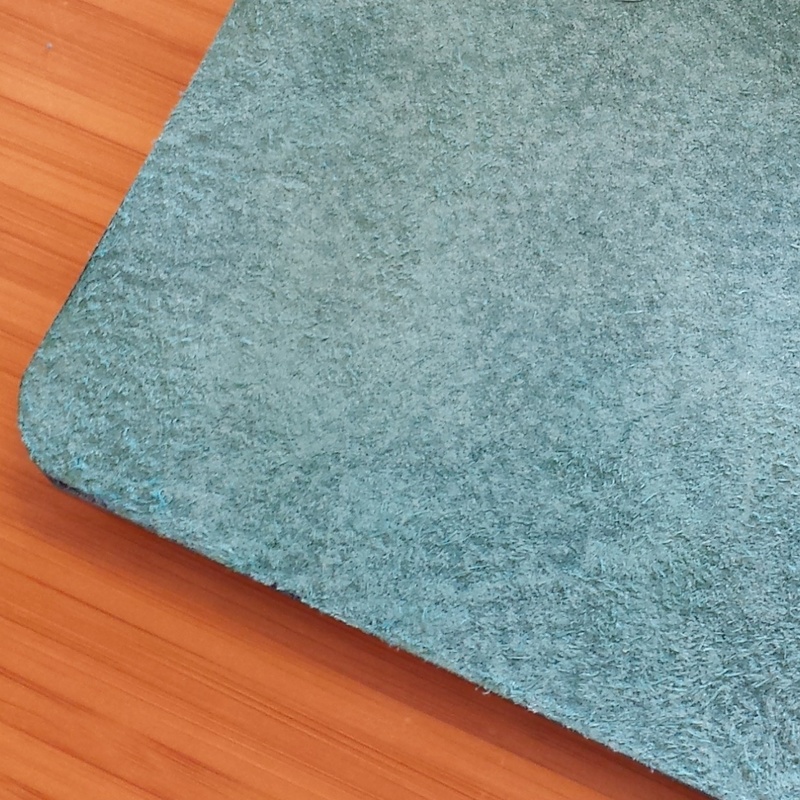 It’s a soft, flexible piece of textured leather, with rounded corners. The inside is the same color in unfinished leather. 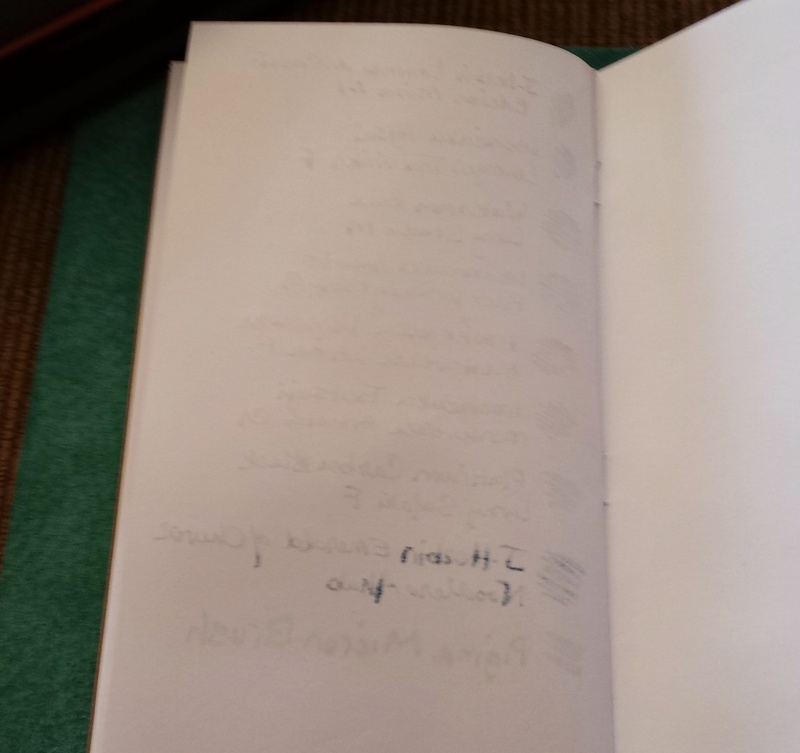 Close up of the inside of the cover. 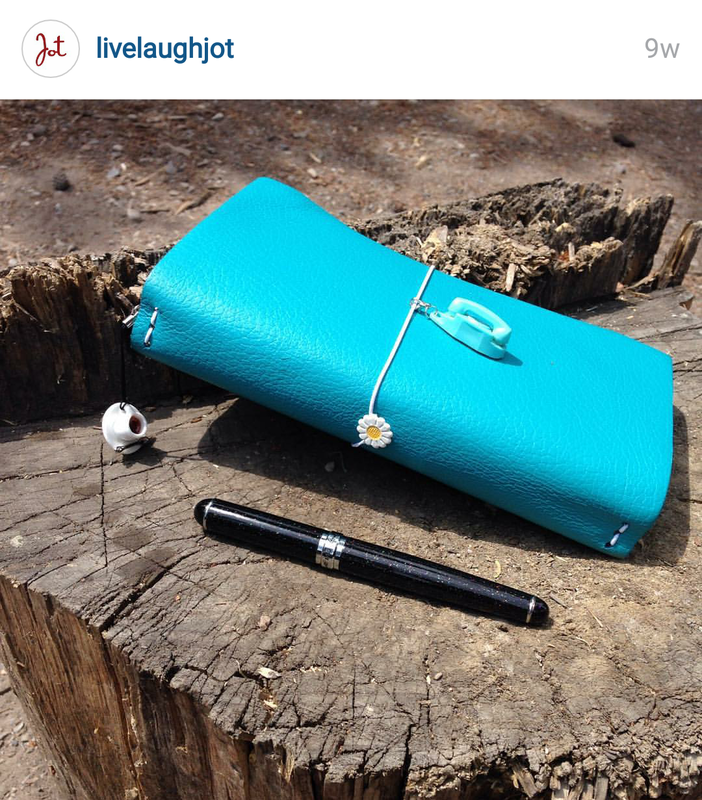 Jot notebooks come with one starter refill. Cori was generous and threw in a laminated planner “dashboard” and a pink planner charm. 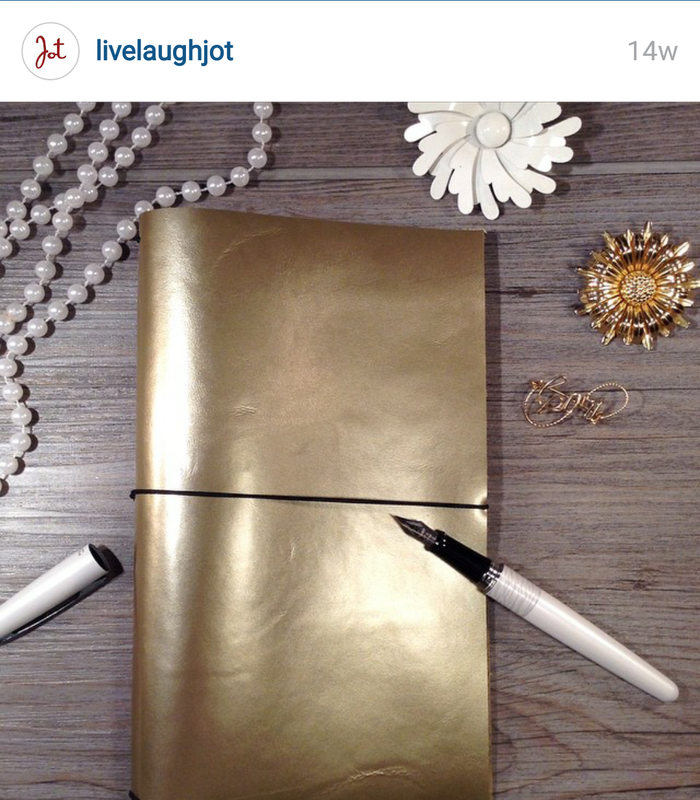 The refill notebook she sends with the Jots are surprisingly fountain pen friendly! Made in house with 24lb paper, there is some feathering. Here is a sample. And the back of that same page. Some ghosting but very little bleedthrough to the other side – the Micron Pigma Brush being the culprit. Impressions so far? I am liking this bigger size much much better!! 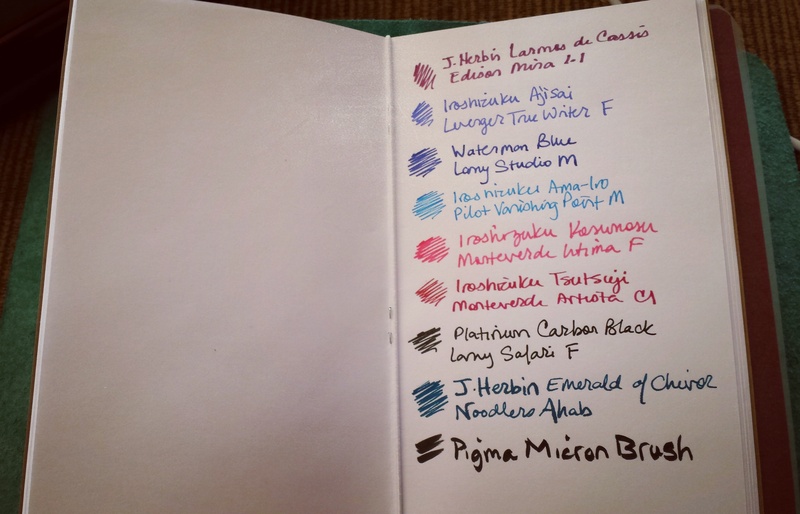 I need to get a couple of additional inserts to really try it out as it was intended – and once I discovered that Midori makes refill notebooks with Tomoe River like paper (No. 013) and watercolor/sketchbook paper (No. 012), I had to order some ASAP to test them out. They should arrive later this week, so stay tuned for more updates! 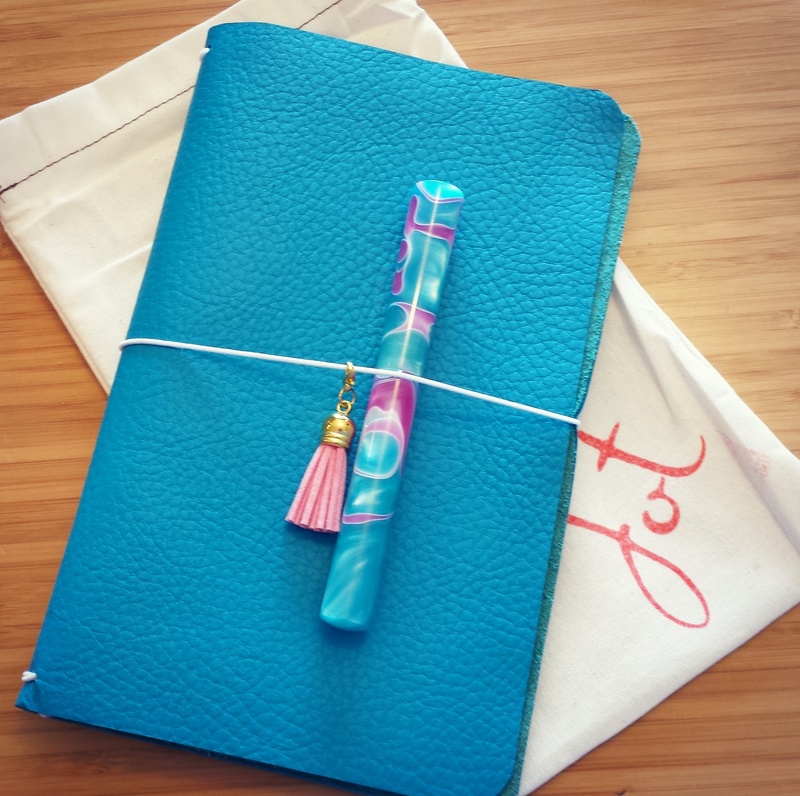 In the meantime, the Peacock color and pink planner charm matches my ‘Unicorn Barf’ pen REALLY well. Wanna try one for yourself? 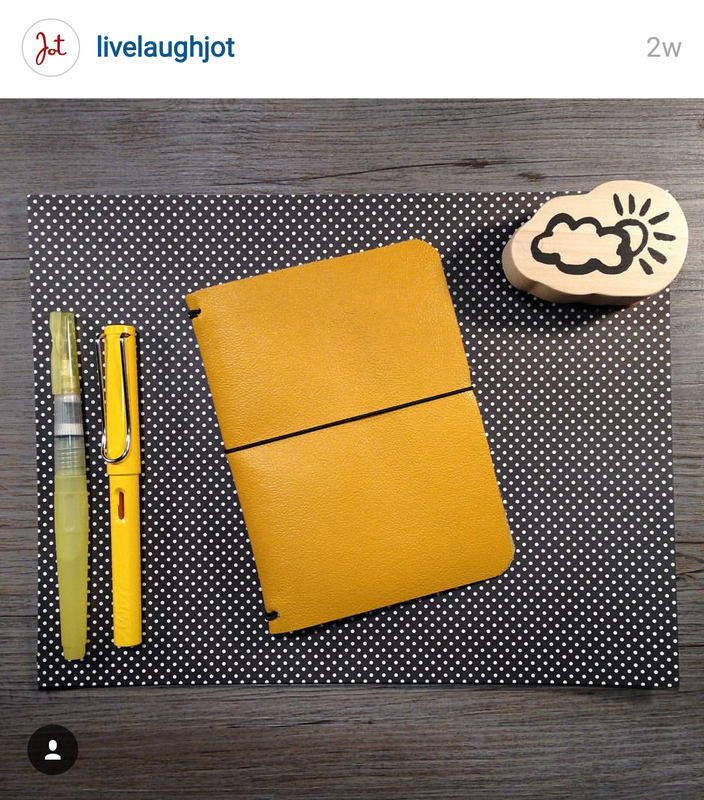 Jot ships worldwide now, and offers cute accessories as well as the notebooks themselves. Cori has very generously offered my readers a 15% discount code too – just type in CALVINWASRIGHT when checking out to take advantage of this reduced rate!